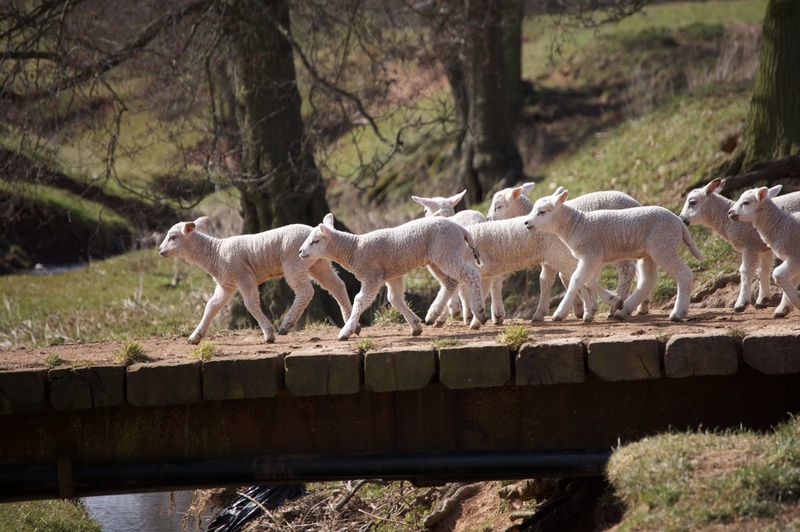 After a good run in the early April sun, the lambs then decided to cross the stream on the bridge that was made out of old railway sleepers. They seemed entirely unconcerned that the ewes were nowhere in sight. 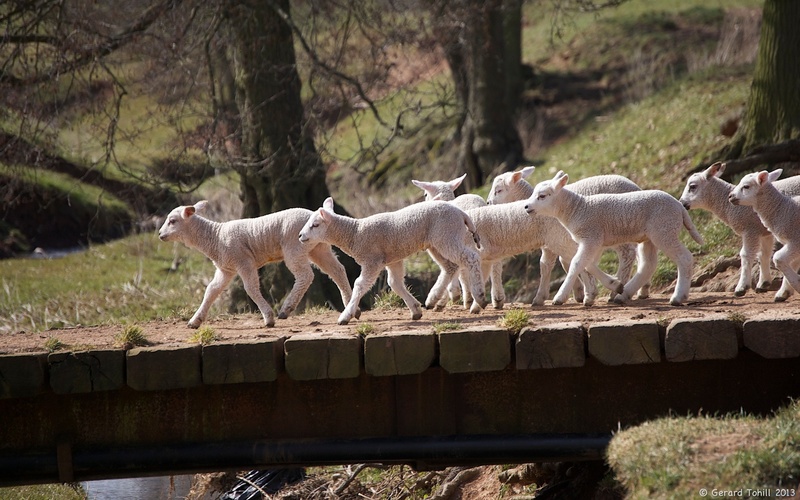 I spent five minutes watching them cross and recross the bridge. Relaxing.